Hunslet 0-4-0 7401 in action at Butterley on 23 July 1994, during the Midland Railway Centre's Diesel Gala. Unfortunately this historically important loco suffered a major engine failure during the event, and was out of action for some time. 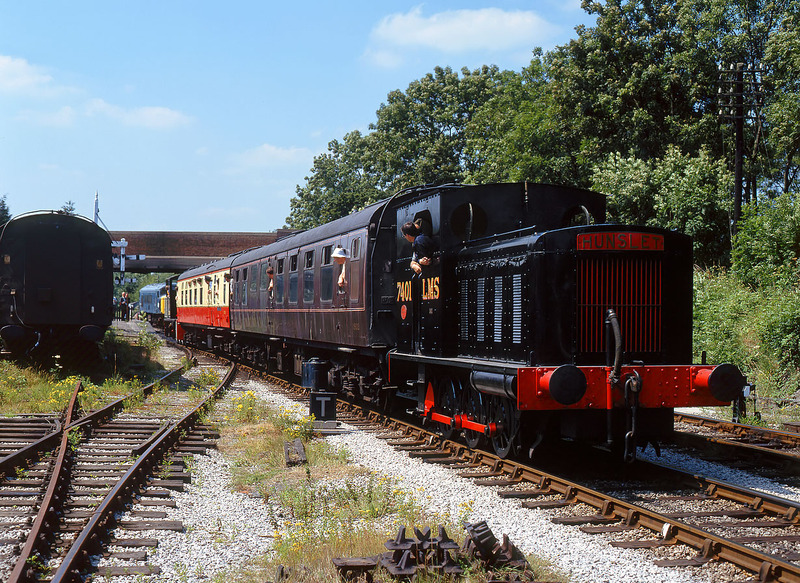 Built in 1932, the loco was used first of all by the LMS, later the War Department, and entered preservation with the Middleton Railway in 1960.